To help people celebrate life and enjoy a lighter, brighter holiday experience, we’ve rethought luxury travel for a truly unique getaway. At LUX*, every moment matters: we’ve banished thoughtless patterns and created simple, fresh and sensory experiences to indulge you throughout your stay with us. We’re here to surprise and delight our guests with creative details that make the ordinary truly extraordinary. We are excited to announce a collaboration with Elise Tsikis, the young Parisian jewellery designer who is fast becoming a name to know. LUX* is lighter and brighter than ever. We have eight extraordinary hotels and resorts up and running, and six more in the making. The brand is growing, which means that more and more people are celebrating life. We feel good. So good, in fact, that our mother brand, The Lux Collective, took on another challenge. Perusing LUX* Magazine is a lot like wandering vibrant streets with hidden gems, artist filled neighbourhoods, colourful towns with brightly painted murals, eclectic cafés and piquante street cuisine. Tie Xin is the Mandarin for "close to one’s heart." Our Tie Xin concept affords a customized hotel experience to our Chinese-speaking guests. Genuine. Passionate. Intuitive. It’s no coincidence our team members are here to help you celebrate life. We go on holiday to escape the routine… Stay at a conventional resort and before long you’ll know where everything is. That won’t happen at LUX*. We’re in touch with our impromptu side, and we love surprising you with delightful pop-up treats. LUX* invites you to try something new. A unique calendar of expert-led workshops has been curated to inspire curious minds – creative artists and leading specialists will be sharing their secrets at LUX* resorts throughout the year. Lighter, brighter holidays shouldn’t cost the Earth. And with the help of our guests, they don’t have to. At LUX*, we recognise that we have a duty of stewardship over the places we operate and the planet we inhabit, and we strive to achieve complete carbon neutrality in every LUX* Resort & Hotels. Due to its high demand and resounding success, LUX* Resorts & Hotels are expanding the Café LUX* concept outside our resorts through unique and exciting franchises. We have partnered with wellness guru Stephen Price of SP&Co London, a leading Fitness and Wellness Company, to launch a new Wellness Concierge Service for our guests, at our properties in Mauritius and Maldives. We’re expanding! 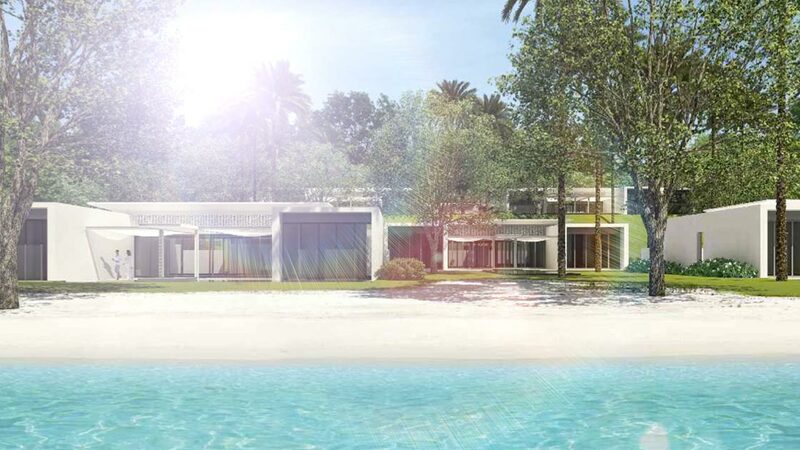 Discover more about new LUX* resorts & hotels opening soon here. Street artist Camille Walala’s bold geometric prints and patterns have transformed spaces from Melbourne to Manhattan — and now the French designer is bringing her murals to Mauritius. LUX* Grand Gaube and interior designer Kelly Hoppen MBE, bring the soothing allure of east-meets-west to the Indian Ocean. Meet the award-winning designer behind Mauritius’ freshest luxury resort and spa, opening this December; exclusive launch rates available. LUX* Resorts & Hotels has partnered with refined British swimwear brand Orlebar Brown, creating an exciting new capsule collection of swim shorts for men. 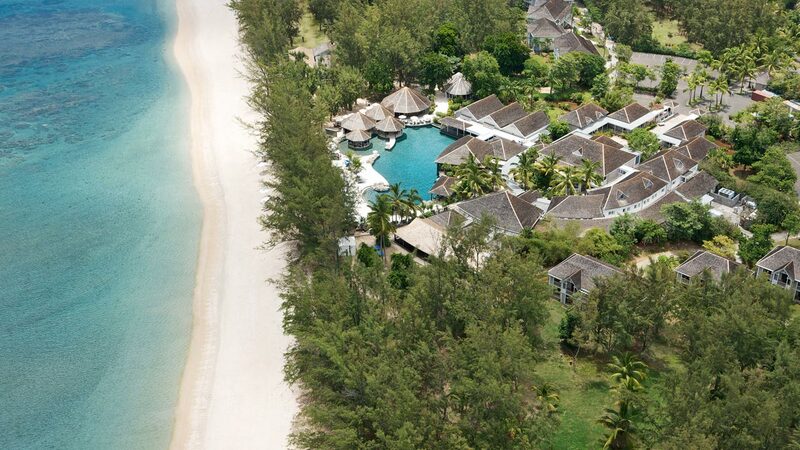 The 2nd Best All-Inclusive Resort in the World and the Best Hotel in Mauritius (by TripAdvisor). 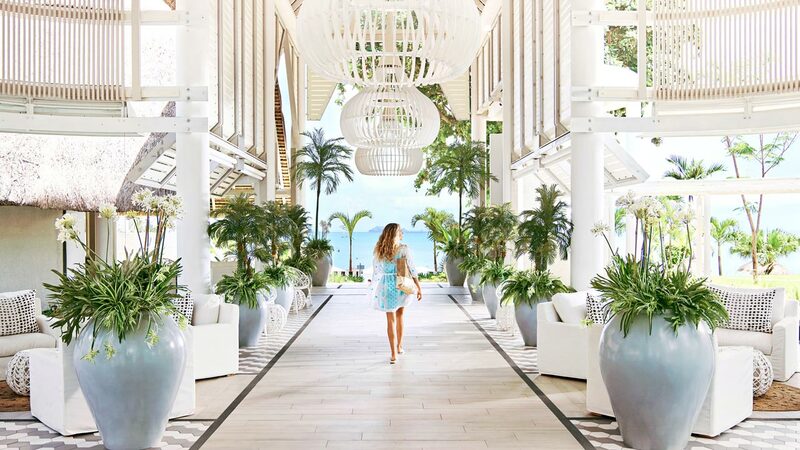 Designed with Kelly Hoppen’s characteristic panache, the thatched mod-colonial suites of LUX* Belle Mare are sea-view sanctuaries set in Stephen Woodham’s glorious gardens. This luxury beach hotel stretches along the pristine eastern shore, one of the most delightful spots on the island. A completely reimagined luxury resort in Mauritius where eclectic retro-chic meets barefoot luxury. Set amidst lush tropical gardens, LUX* Grand Gaube is enveloped by undulating coves, the calmest of lagoons and is blessed with two tranquil beaches and three spectacular swimming pools. 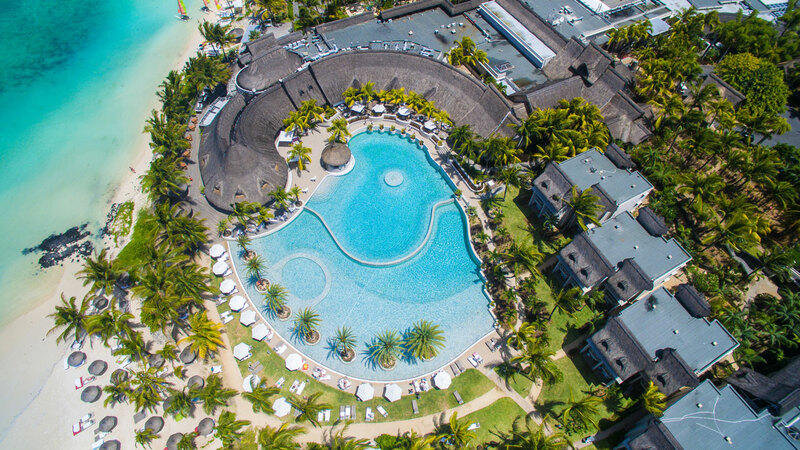 In the shadow of the dramatic Le Morne mountain, a UNESCO World Heritage Site, LUX* Le Morne is set on miles of white-sand beaches, facing one of the most spectacular lagoons in Mauritius. LUX* Saint Gilles, the island’s first 5-star beach resort sits right on L’Hermitage, Reunion Island’s finest stretch of coral-enhanced sands, fringing a reed-sheltered lagoon. 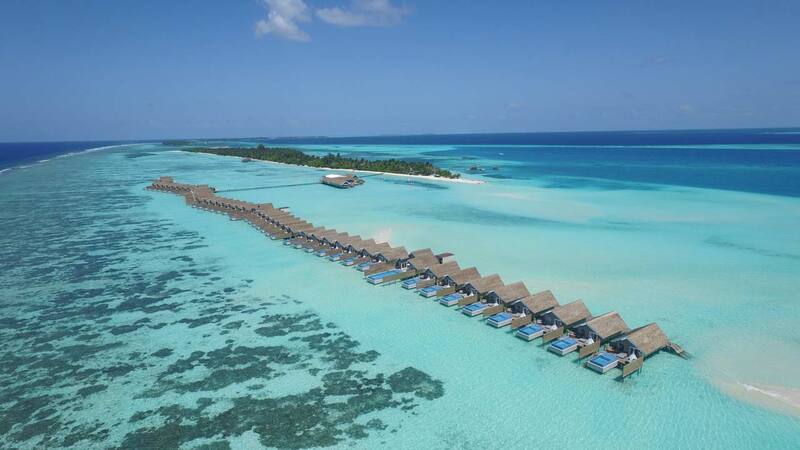 Surrounded by 4km of powder fine beaches and perched on stilts above a crystal lagoon, LUX* South Ari Atoll offers enchanting diving, exotic new flavours thanks to award-winning eating & drinking, and contemporary styled villas over the pure blue Indian Ocean waters. A one-of-a-kind escape for confirmed epicureans, LUX* North Malé Atoll is set to redefine island hospitality with idyllic villas, sweeping ocean views and a fleet of luxury yachts. At the heart of Lijiang’s Old Town – a UNESCO World Heritage site – LUX* Tea Horse Road Lijiang captures the essence of the awe-inspiring Shangri-La area. 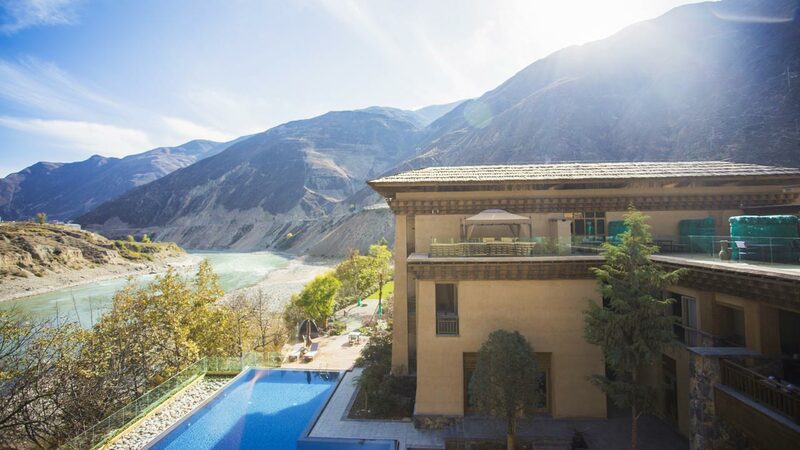 A gateway to the glacier of Meili Snow Mountain National Park, this luxury boutique hotel is located at the entrance of Benzilan town, just a few snow-capped peaks away from the Ancient Town of Lijiang. Opening during 2018 and just minutes away from Dubai's urban landscape and crafted to offer the ultimate oasis of barefoot luxury, LUX* Al Zorah connects you to the locale of Ajman through effortless living. LUX* Bodrum is a five-star boutique hotel with panoramic sea views on the coast of Turkey’s most glamorous holiday destination. Staggered over landscaped levels, LUX* Bodrum greets guests with a vast vista of blue on each side. Modern rooms and architecturally impressive residences combine contemporary design with friendly 5* service. 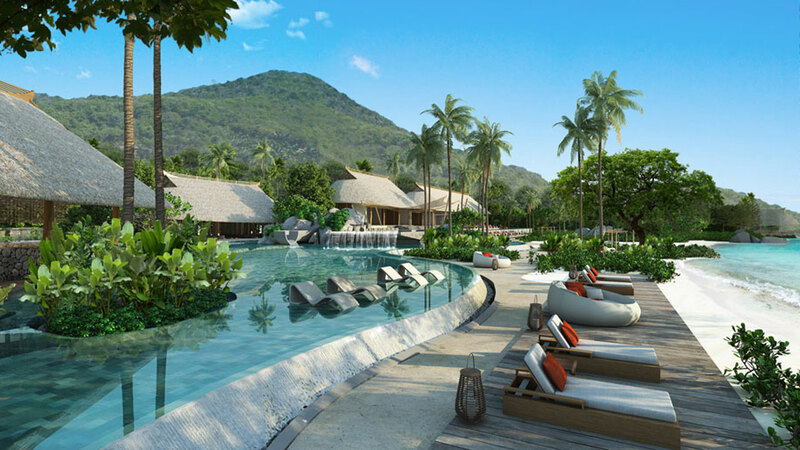 Set to open in late 2019, LUX* Phu Quoc is a whole overwater resort offering the luxury of escaping to a spacious hideaway where island life, serenity and exploration harmoniously blend together for the perfect escapade. Chef Philippe Agesidame, Executive Chef at LUX* Saint Gilles knows all the secrets of traditional creole cuisine. 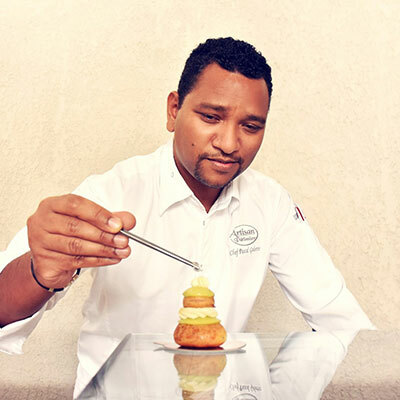 He has invaluable experience and mastery skills when it comes to emulating the tastes of Réunion Island in a sophisticated but yet traditional way. Chef Philippe brings all the flavours of his island to life on the wood fire of the famous Carry’s Bar. We dare you to leave LUX* Saint Gilles without testing his « Rougaille Saucisse » the local must-try dish. Chef Doorgesh Sanchurn has developed an expertise for local tastes. 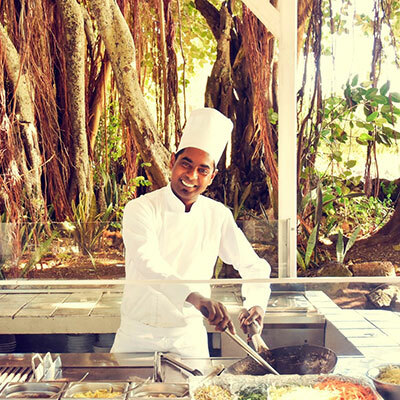 If you meet him at Banyan, the Island Kitchen in LUX* Grand Gaube, he will admit that his favourite dish is the Mauritian fried noodles that reminds him of his earliest, most vivid food memory as a child. Chef Sanchurn loves being able to share the unique flavors from diverse culinary influences, while showcasing the Mauritian food culture. At LUX* South Ari Atoll, Chef Dave Minten is a true culinary innovator, crafting delicious and creative dishes using only the freshest ingredients. Sourcing fresh fruit, vegetables and seafood, Chef Dave has made it his mission to bring you pure cuisine experiences, whether enjoying a sampling of fresh Ceviche, just caught tuna or a straight from the wood fired oven pizza, you can be sure that every dish is made with passion and precision. 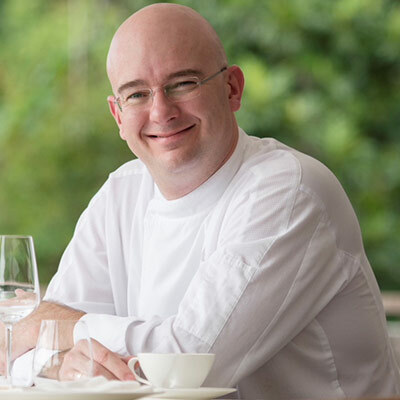 Chef Pascal Galette brings years of experience and creativity to LUX* Belle Mare and Café LUX*. Under the command of the young Executive Pastry Chef, artful desserts are created that range from the familiar to the unexpected. If you ask him what his favourite dessert is, he will tell you the mille-feuilles which he now masters to perfection and that leaves a trademark, visual and tasteful memory that immediately wins you over. 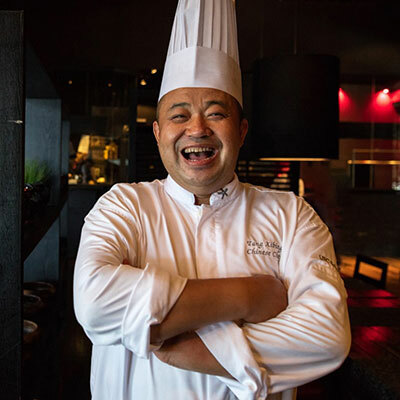 After years of experience around the world, China's Sichuan Masterchef Tang Xi Bing brings his homeland stories to Duck Laundry, LUX* Belle Mare where he blends traditional and contemporary to offer a unique sophisticated Chinese cuisine. You will always find the brightest smile on his face as he treats his guests with the impressive art of hand-pulled noodle and ensures a very special food experience for every minute spent at Duck Laundry. To know Chef Suksan Supprasert is to like him. You will always see a smile on his face and for very good reasons. His dedication and enthusiasm at East Restaurant, LUX* Le Morne was rewarded by an award for best Thai restaurant in Africa in 2016. 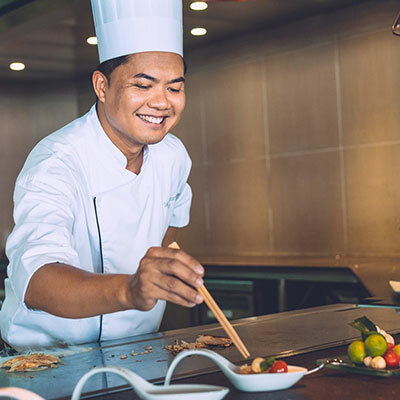 Chef Supprasert brings the taste of his homeland Thailand to Mauritius and shares his everlasting cheerful mood to make your experience at LUX* Le Morne unforgettable. 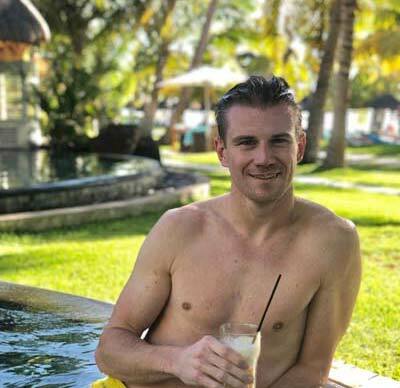 Before dropping his suitcases at LUX* Belle Mare, Nicolas Baubé has officiated in numerous 5 star palaces, resorts and hotels in Europe, Middle East and the Indian Ocean. 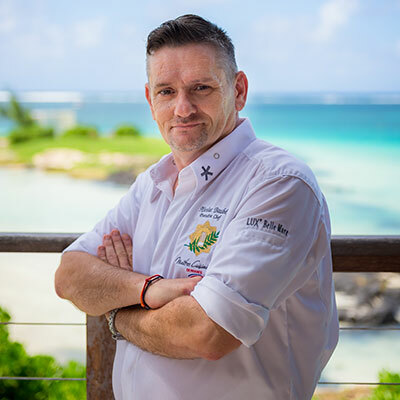 With his expertise and vision of the local cuisine, the new executive chef is willing to make the residents of LUX* Belle Mare discover a mix of flavors, textures and cultures that would awaken their senses. 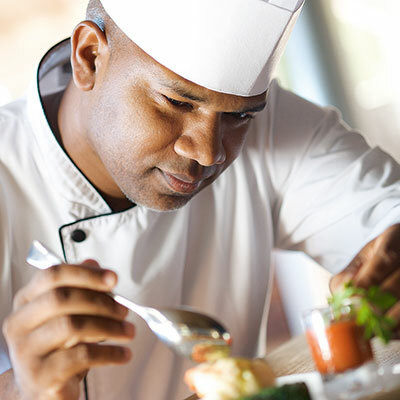 His objective: bring a touch of freshness and innovation that will meets the culinary expectations of LUX* Belle Mare. For a dash of Asian spice, head to Amari by Vineet, the resort’s new Indian restaurant – a clean-lined but opulent space for the Michelin-star chef’s scintillating fare. 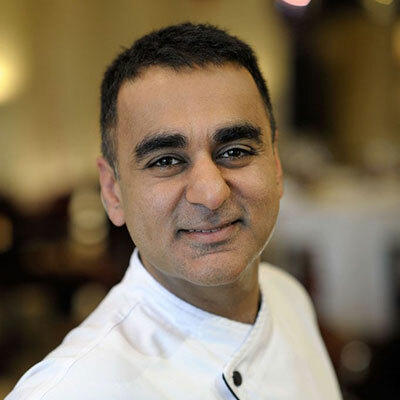 A leading light in the reinvention of Indian cuisine, Chef Vineet Bhatia won his first Michelin star at Zakia in London in 2001, followed by another in 2006 for his personal venture 'Rasoi' in London as well as in 2009 for 'Rasoi by Vineet' in Geneva. His masterful technique makes the textures and flavours of India shine, in sumptuous, subtly spiced dishes with contemporary flair. We had the most incredible time at LUX* South Ari Atoll! We were looked after like royalty, the sun shone, we had ice cream for breakfast and we enjoyed the luxury of just being with each other. I couldn’t recommend it more! What a pleasant atmosphere at LUX* Grand Gaube, the breeze of the sea, the restaurant tucked on the water and the opportunity to sleep with the windows open without air-conditioner catching the freshness of the night. Thank you for a fabulous stay. First class all the way, we enjoyed every moment! The team/staff at LUX* North Male Atoll are fantastic and they looked after us so well! Can’t wait to come back soon! Lots of love. Everything about my stay at LUX* Le Morne was outstanding! From the rooms to the hospitable and friendly staff, I couldn’t have wished for a better stay. Thank you to the whole hotel team. I hope to be back very soon. What a beautiful stay we have had here at LUX* Le Morne. We never want to leave! The surroundings are beyond incredible... truly the most idyllic paradise setting. Crystal clear waters, tropical palm trees, sunshine, blue skies and tranquility. The LUX* team made us feel amazing, they made us feel loved and at home; it was spectacular!